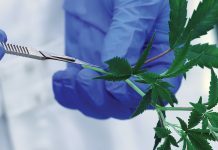 Dr Guy Chamberland explains how Tetra Bio-Pharma is taking a pharmaceutical pathway to discovering and developing cannabinoid-derived products. In an industry that could aptly be described as last year’s biggest newsmaker, it seems that Tetra Bio-Pharma has become inextricably linked to all things cannabis. The irony lies in the fact that Tetra is not a cannabis company. They don’t grow it, sell it, cultivate it or promote it. What they do, and do quite well at that, is investigate hundreds of cannabinoid molecules to see what derivatives can be unleashed and turned into evidence-based medicines that address unmet medical needs. Tetra Bio-Pharma, headquartered in Montréal, Canada, is already considered a global biopharmaceutical leader in cannabinoid-based drug discovery and development. The company becomes more visible by the day, capturing the attention of investors and analysts who see their accelerated regulatory achievements, clinical programmes and cost management as nothing less than remarkable. 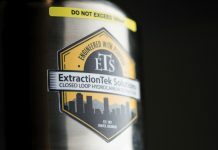 Exceptional, too, was the regulatory approval they secured to investigate the first smokable cannabinoid-derived product in the world. Tetra Bio-Pharma is in the enviable position of being the only company in North America, other than GW Pharma, working with Health Canada and the Food and Drug Administration (FDA) on clinical trial programmes with cannabinoid-derived products. These trials have led to a significantly improved understanding of the safety, pharmacokinetics and pharmacodynamics of cannabinoid-based drugs targeted for the treatment of pain. As their products continue to advance through various phases of clinical development, Tetra Bio-Pharma is delivering on the need for rigorous scientific evidence while at the same time building shareholder value with the introduction of cannabinoid-based natural health products that was well-planned to coincide with the legalisation of recreational cannabis in Canada in October of 2018. 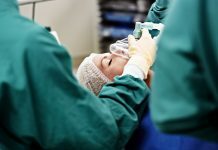 Zeroing in on several therapeutic areas including pain management and oncology, Tetra hopes not only to improve the treatment of pain for millions of patients but also reward its shareholders given the large population of sufferers affected. While all of this seems simple enough to follow, the key to unlocking access to cannabinoid-derived drugs can be boiled down to two words: scientific evidence. Tetra knows that without scientific evidence, health regulators will not approve, physicians will not prescribe, and insurance companies will not cover a product that has not been proven safe and effective in the exact same way as any other drug for human use. This logic helped define Tetra Bio-Pharma’s business strategy and the rest is history in the making. With subsidiaries engaged in the development of biopharmaceuticals, natural health and veterinary health products that contain cannabinoid-derived agents, Tetra Bio-Pharma combines the traditional methods of medical cannabis use with the supporting scientific validation and safety data required for inclusion into the existing biopharma industry by regulators, physicians and insurance companies. Canada is seen as leader on the world stage when it comes to the nascent cannabis industry. At last count the country had more than 130 federally licensed producers of recreational and medical cannabis. Contrast that highly competitive field with one biopharmaceutical company looking to take novel cannabinoid-derived molecules and turn them into prescription medications that would be covered by private and public drug plans. That one company is Tetra Bio-Pharma. Leading the charge is Tetra Bio-Pharma’s chief executive officer and chief scientific officer, Dr Guy Chamberland, and he is clearly not a lightweight when it comes to his pharmaceutical pedigree. Named CEO in the autumn of 2018, Chamberland holds a long list of academic designations, including a BSc in agriculture from McGill University, an MSc in veterinary anatomy and physiology and a PhD in biomedical sciences (toxicology) from the University of Montreal. His experience in both executive and scientific roles establishes Chamberland as a seasoned professional in the biopharmaceutical space with more than two decades in drug development for the North American pharmaceutical industry, particularly in regulatory affairs and the development and management of clinical research protocols and clinical studies for botanical medicines. Since becoming CEO, Chamberland has expanded the brain-trust of Tetra by cherry-picking senior pharmaceutical industry heavyweights to support and strengthen the organisation’s rapid pace of growth with portfolios in medical affairs and regulatory, licensing, investor relations, finance, clinical trial recruitment, sales and marketing, and communications. 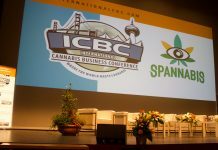 If there is strength in numbers then Chamberland was encouraged when the FDA announced its intention to treat products containing cannabis or cannabis-derived compounds as they do any other FDA-regulated products — meaning they will be subject to the same authorities and requirements as FDA-regulated products. In the autumn of 2018 Tetra held a Type B meeting with the FDA for the dronabinol AdVersa™ mucoadhesive delivery system, PPP002. Tetra, along with its partner IntelGenx Corp, is developing this product in the United States under the accelerated 505(b)(2) pathway for the indication of chemotherapy-induced nausea and vomiting, and anorexia and weight loss in people with AIDS. The FDA confirmed the eligibility of the 505(b)(2) regulatory pathway for the product PPP002 and that the efficacy and systemic safety would be supported by the corporation’s proposed comparative bioavailability study and, if successful, Tetra could apply for FDA approval in late 2019, for those indications. The FDA also provided feedback on the local safety requirements and the evaluation of the abuse potential of PPP002 for obtaining a Schedule III controlled substance classification. The FDA also confirmed the shorter regulatory path to the market that Tetra had promised shareholders. In addition, the regulator provided clear guidance on the safety and drug abuse data requirements for the new drug application. With this confirmation and guidance, Tetra will be able to complete the execution of the clinical programme for PPP002 and, if successful, anticipates submitting a new drug application to commercialise PPP002 in late 2019. Currently, cannabis plays an important role in the treatment of some of the main symptoms reported by cancer patients, such as insomnia, loss of appetite, depression, nausea and vomiting, and may also help to relieve chronic pain, cancer pain, breakthrough cancer pain and neuropathic pain, including fibromyalgia as well as ocular pain. While it is widely believed that cannabis has the potential to be of therapeutic benefit, there is no scientific safety and efficacy data to prove it. Not only is this an enormous barrier for physicians whose training is predicated on evidence-based medicine, but it is also an obstacle for professional associations as well as public and private insurers. Until and unless cannabinoid-derived pharmaceuticals can meet the stringent standards for drug approval, access to cannabinoid-derived medicines will not find their way into the mainstream medical system and not likely be covered by health insurance. In Canada, as an example, patients pay between $4,000 (~€2,647) and $12,000 annually for medical cannabis – a cost that could be significantly reduced once cannabinoid-derived medicines are approved. Treatment with cannabinoid-derived products is complex. It is believed that most medical professionals don’t have the clinical experience to treat their patients with medical cannabis but are keenly aware as to what qualifies as scientific research. Cannabinoid-derived drug approvals will lead to the education of doctors on how to treat their patients with cannabinoid-derived products and give them the confidence to do so. It will also help incorporate these drugs into the medical system. Tetra’s core competencies lie in their deep and longstanding pharmaceutical industry knowledge and experience in bringing pharmaceutical products to market. Science and precision are baked into the rigorous clinical trial processes that Tetra follows in gathering information about a drug’s effectiveness and safety, determining the best dosing and usage in humans, evaluating any negative drug reactions and comparing results to existing treatments or using a placebo when no treatment currently exists.1 As a company, Tetra is unique in putting together rigorous, independently run randomised clinical trial (RCT) protocols that meet the stringent criteria that health regulators like Health Canada and the FDA need to have before approving a drug. This approach is second nature to the Tetra Bio-Pharma team but can be lost when compared to the medical cannabis that is currently available where dosing and consistency are almost impossible to achieve. And there’s the cost factor. When cannabinoid products are approved as drugs, they will be available in pharmacies, ensuring both quality and controlled dosing. Reimbursement by private or public health plans for approved cannabinoid medications will represent a significant benefit to patients not only in terms of confidence and convenience but by the elimination of the stigma associated with cannabis. 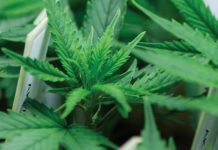 Tetra Bio-Pharma’s PPP001 is set to be the first by prescription only cannabinoid being studied in clinical trials for the treatment of advanced cancer pain and breakthrough cancer pain with plans to apply for a drug identification number (DIN). Clinical trials are also currently underway to investigate this drug for both advanced cancer pain and breakthrough cancer pain versus fentanyl, with a planned Phase III trial gearing up in fibromyalgia. Tetra’s differentiation lies in their exclusive use of natural ingredients and the benefits associated with ‘late-stage’ status, allowing them to bypass conventional pharmaceutical testing and approval processes, significantly reducing drug development costs. Is cannabis the answer to a reduction in opioid use? Many physicians believe that cannabis could help reduce opioid use – what is missing is the data to prove it. Until that happens it remains unlikely that healthcare professionals will authorise cannabis as an alternative to opioids in controlling pain. The truth is that there is still a lot to be learned about the safety and efficacy of cannabis and an urgent need to educate doctors, healthcare providers, patients, caregivers and the public about what is known versus what is not known about the potential positive and adverse health effects of cannabis. Canada’s regulatory authority recently approved Tetra’s protocol for a head-to-head trial that will investigate cannabis versus fentanyl for the relief of breakthrough cancer pain. This Phase III trial recognises that evidence is the barrier to medical treatment by doctors using cannabis or any cannabis-related product. Based on its clinical data, Tetra believes that the pharmacodynamic properties of its drug PPP001 may provide a novel alternative to fentanyl. In addition, the time-to-maximal plasma concentrations of THC suggest that PPP001 will provide rapid relief to the patient’s suffering. The promise of cannabis as an alternative to opioids such as fentanyl is compelling at a societal level as the opioid epidemic continues to rise, affecting millions across North America. From a patient care perspective, clinical data indicates that cannabinoid-based drugs can provide rapid relief in patients suffering from breakthrough pain in contrast to fentanyl’s slower mechanism of action. From January to September 2017, 72% of accidental apparent opioid-related deaths involved fentanyl or fentanyl analogs compared to 55% in 2016.These stats are compelling enough but don’t tell the full story about why these deaths are happening and the role of fentanyl as the culprit. When people suffer from breakthrough pain, they need fast relief. If the pain is not alleviated quickly enough, the tendency is for the patient to take more than the recommended dose. Not surprisingly, this can lead to a fatal overdose. “Tetra’s rich cannabinoid-derived product pipeline has the potential to play a major role in opioid sparing. PPP001 will also be studied in other therapeutic indications, such as the neuropathic pain associated with fibromyalgia. These new indications affect millions of individuals and significantly increase the potential market as well as shareholder value,” says CEO and CSO Dr Guy Chamberland. One of the challenges Tetra Bio-Pharma faces is patient recruitment for clinical trials. 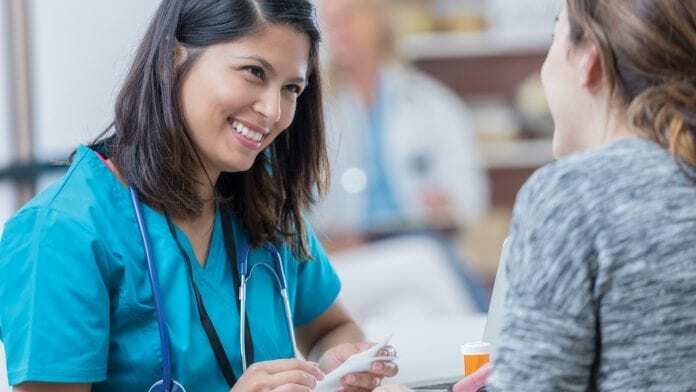 In this regard they are in good company with other pharmas in identifying qualified candidates, determining the correct dosing and dosage times. “Just a few years ago, conducting clinical trials took on an entirely new level of complexity when a company needed to ensure that physicians and study participants would not be arrested for taking part in the trial,” says Chamberland. Details like obtaining controlled substance approval for the physician and making sure there was no diversion of the drug were reasons for concern. Today those regulatory hurdles have been overcome. 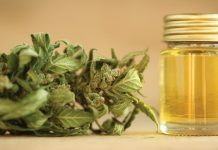 Being compared to a cannabis producer has been an annoyance for Tetra Bio-Pharma, and the confusion and lack of understanding can not only be frustrating but also costly. Tetra is strictly in the business of discovering, developing and commercialising cannabinoid-derived products by taking a pharmaceutical pathway to integrate these drugs into the medical system. While they will commercialise their R&D, investors need to see them through the lens of the prescription drug business. To help set the record straight, Tetra frequently uses the hashtag #notacannabiscompany. Tetra’s ‘cup half full’ corporate culture is well grounded on the opportunities that come with being different and what they hear as a deafening call for scientific evidence – not observational studies or real-world studies but double-blind, placebo-controlled, ethically approved, randomly based trials that reflect current health policy. Because this approach is so different from the research conducted by the licensed producers, which are largely observational studies, the challenge lies in explaining that the Tetra pathway is the one that aligns with current health policy. Coming up next for Tetra Bio-Pharma? Tetra Bio-Pharma’s strong and well-advanced portfolio of cannabinoid-based drugs offers a compelling alternative to those suffering from advanced cancer pain, chronic pain as well as chemotherapy-induced nausea and vomiting. Their pharmaceutical pipeline also includes products for the treatment of ocular pain and inflammation, a topical treatment for neuropathic pain and an oral oil capsule for the treatment of chronic pain. PPP005 is an oral capsule used for the treatment of chronic non-cancer pain and cancer pain.